Now it comes the time when the age of wired connection is about to be considered old-fashioned. It is the time, when are about to leave physical connection line, and move to the new kind of transferring technology that can be done through air. This is the time when we are going to go “wireless”. Yes, wireless is considered as the future transferring technology. It’s even believed as the only technology that is relevant to the future concept. And now, we’re going to talk about one example of wireless application called Wireless USB technology. USB stands for “Universal Serial Bus”. This is an industry standard that was developed in 1990s. Managed by USB Implementers Forum, this technology keeps growing and creating new inventories. The USB component actually consists of communications protocols, cables, and connectors. These components form a connection bus that is used to transfer power, to connect, or to communicate between one electronic device to another. With easy and effective connection, USB becomes common connection used in computer peripherals such as keyboard, media players, network adapters, and many others. Besides, this kind of connection is also used in other electronic devices such as PDA, smartphone, game console, modem, and more. 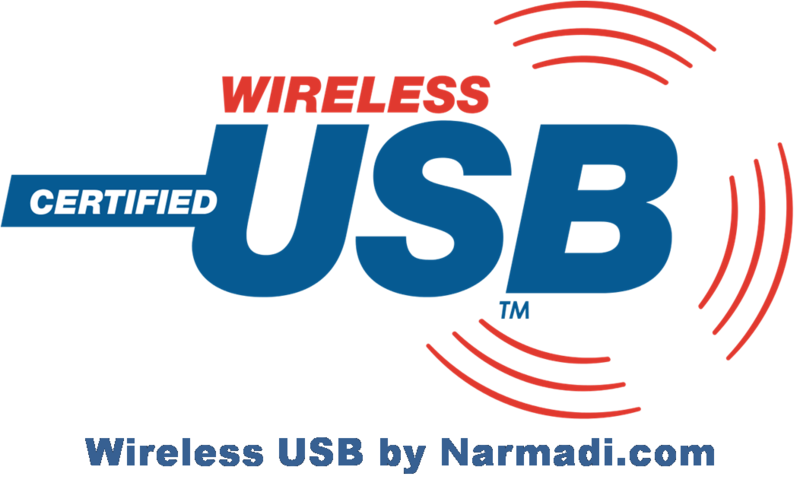 More information regarding to Wireless USB Technology, you can open this wiki page. To comply with the current standard, USB Implementers Forum keeps developing their protocols. One result of this development process is Wireless USB technology. The announcement of this new wireless technology was aired on September 9th 2013. At that time, the USB Implementers Forum announced the new specification of future USB device. This is the kind of specification that allows any wireless devices or docking stations to do communications with USB protocols. This kind of connections becomes more interesting without any need of doing physical connection. By making this connection, the implementers believe that they can leverage current USB infrastructure while at the same time, they are achieving the transfer rate of wireless gigabit. Then, what kind of wireless that will be the basic foundation of this wireless USB technology? Surely, it’s WiGig. It’s already confirmed that the WiGig Serial Extension (WSE) V.1.2 will be the basic foundation for the realization of Wireless USB technology. While from the USB side, the current standard USB version 3.0, which is usually called SuperSpeed USB and USB version 2.0 or Hi-Speed USB will be the compliant of this technology. While talking about transfer rate, this kind of USB will be able to transfer about 480 Mbit/s in up to 3 meters of distance. And when the distance is expended to be 10 meters, the transfer rate will be 110 Mbit/s. With that transfer rate, the Wireless USB technology has a high practicability to be applied in several electronic devices. For example, we can find wireless USB technology applications in scanners, printers, game controllers, hard disk drives, portable media players, digital cameras, and more. While talking about issues, several issues are surrounding this wireless technology, especially robustness. Further, corruption and packet loss are also a big issue which has relation with the timeout and hardware buffering that is usually happens during the connection. However, wireless USB technology is something growing. With the further research, this USB will be very potential for the future use. And seeing public enthusiastic toward this technology, we believe that the development of this tech will not just stop. Well, that’s all of our explanation regarding to the Wireless USB. Hopefully this writing will be able to update your technological knowledge. And, if you have any further questions or idea about wireless USB technology, you can put them in the comment session below.